Explore Ibiza 2018. Discover the quiet side of the island. 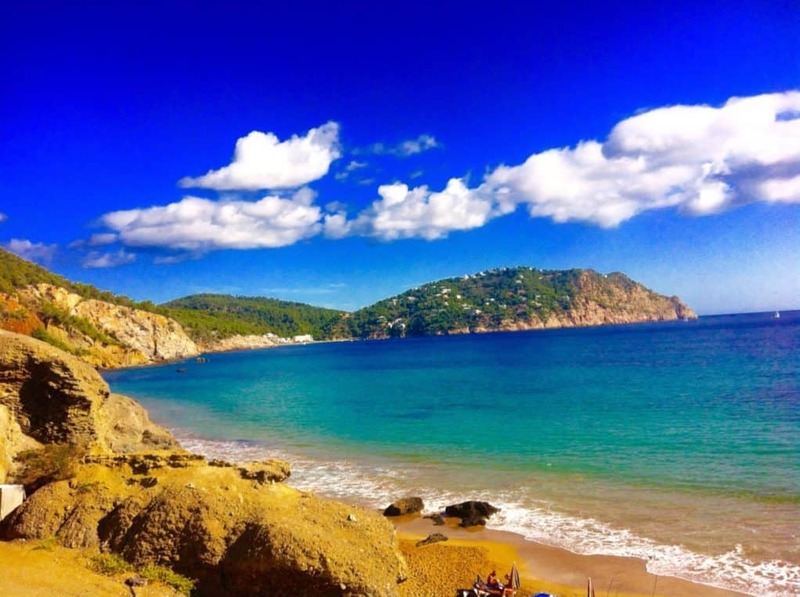 Beautiful, unspoilt Ibiza is my favourite of the Balearic Islands. I will tell you where to go to find the best beaches and unspoilt countryside which has remained unchanged for centuries. Everyone thinks of Ibiza as a party island, which it is in San Antonio but this is confined to a small and specific area on the West coast and if you want to party this is the place to go. However, for the rest of us an island full of the prettiest hidden coves awaits. Where to go in Ibiza? 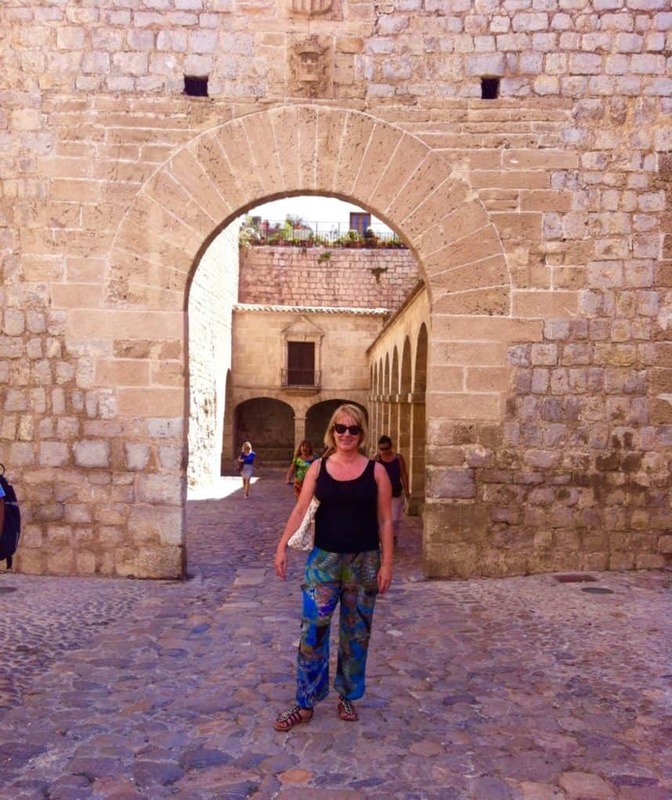 I first visited Ibiza when I was 7 years old, which is quite a long time ago! It was with some trepidation that I returned many years later to attend a Yoga Detox week – the less said about that the better! Lets just say I’m not cut out for faux Yoga and crystals whilst being fed with vegetable juice! I went AWOL after a couple of days on the Yoga course and hopped in my rental car to explore the island. Ibiza hadn’t changed at all! I will be back, it is such a paradise! I was taken aback because this really has not changed since I was 7 years old! The gorgeous white washed buildings, higgledy piggledy streets and narrow alleyways are just the same and full of little restaurants, tapas, and bars. There are countless little shops full of things you will want to buy from the classic Ibizan lace to straw bags and gorgeous cotton dresses. 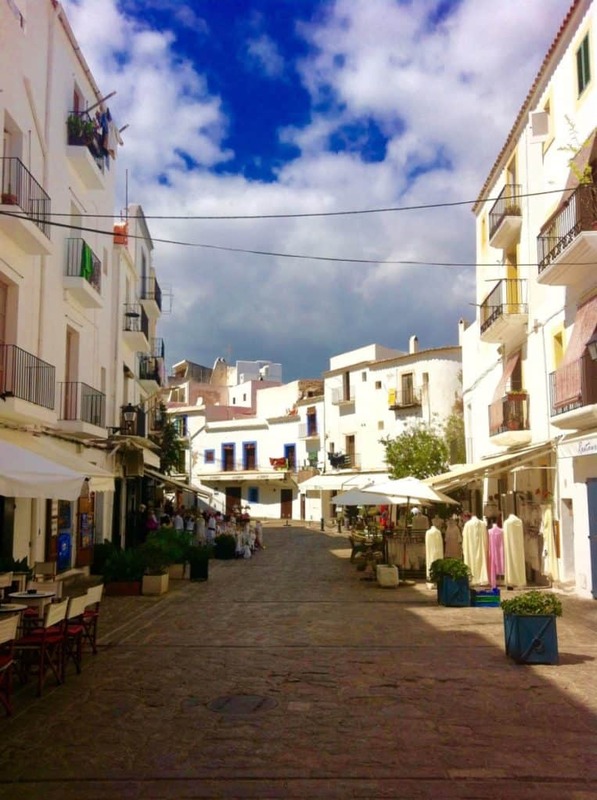 Ibiza Town has grown considerable but the old town remains unchanged. There are so many little bars and restaurants tucked away in the Old Town. Explore Ibiza. Dalt Vila in the old town is a World Heritage site. There are lovely little restaurants, a lovely view from the battlements and even an archaeological museum. 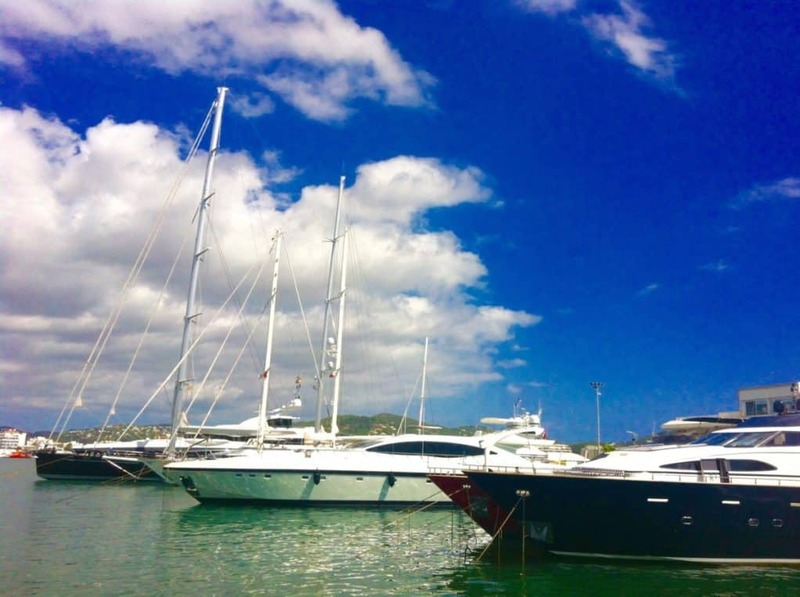 Ibiza Town has 2 marinas, Botafoch and Ibiza Nueva packed full of luxury yachts. The famous bars and restaurants can be found near the port Blue Marlin, Lio and Pascha are all here. 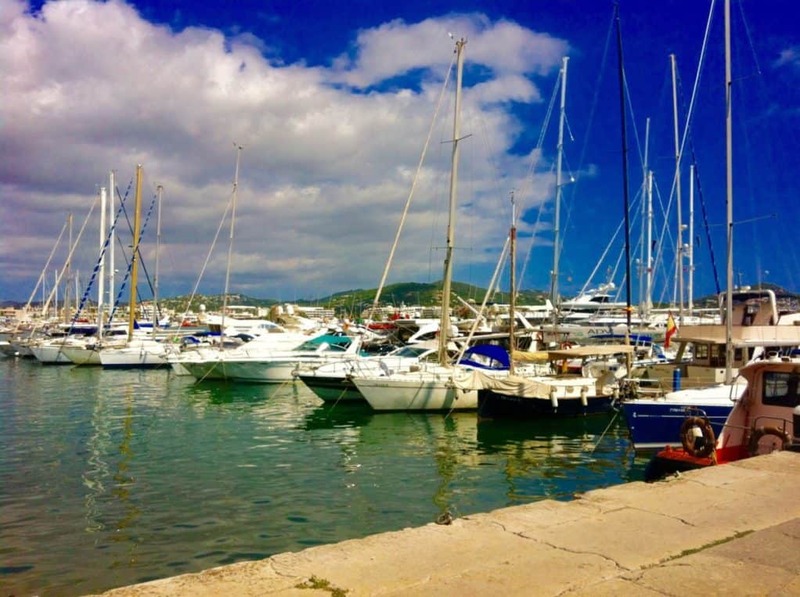 There are so many wonderful restaurants to choose from near the Marina you will be spoiled for choice. 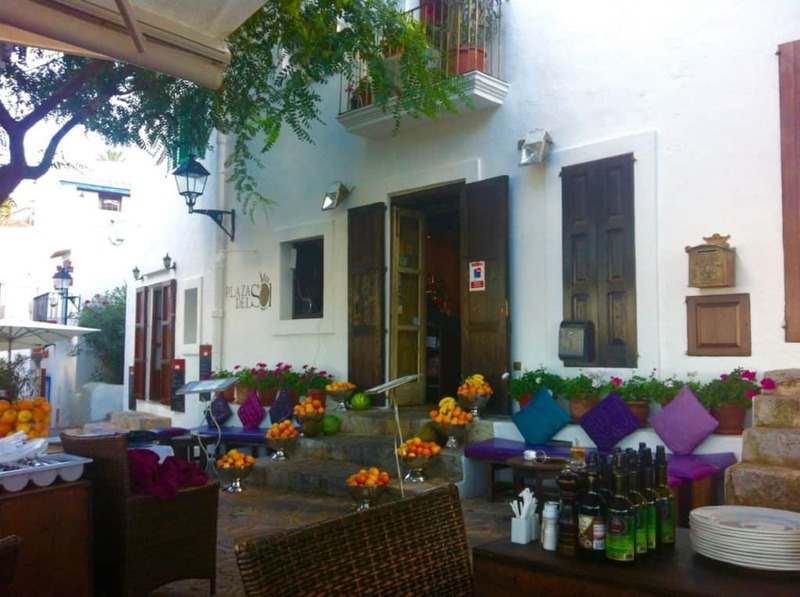 Ibiza town buzzes at night and is packed full of exciting places to go and things to do such as Heart live music nights or dance the night away in Pascha. For those of you who, like me, prefer the quiet life head into the Old Town for a great selection of little restaurants and bars. You really need a car to explore the island and it is perfectly safe and easy to drive. 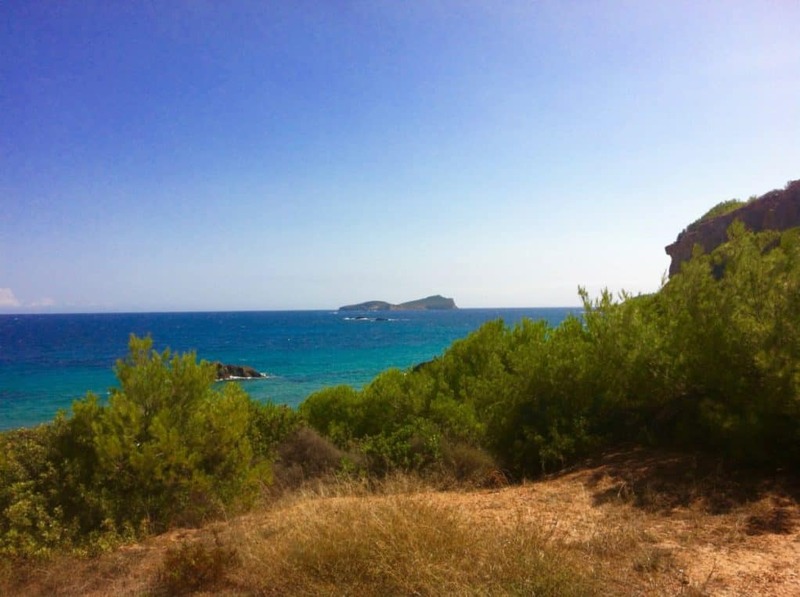 My favourite areas are in the North and North eastern area of the island but Ibiza is small so you can reach the North eastern part very easily even if you are staying in Eivissa. One of my favourite beaches is Aigues Blanques. Drive along the road from San Carlos to Cala San Vincente and turn right at the sign for Aigues Blanques, the beach is a short walk from the car park. 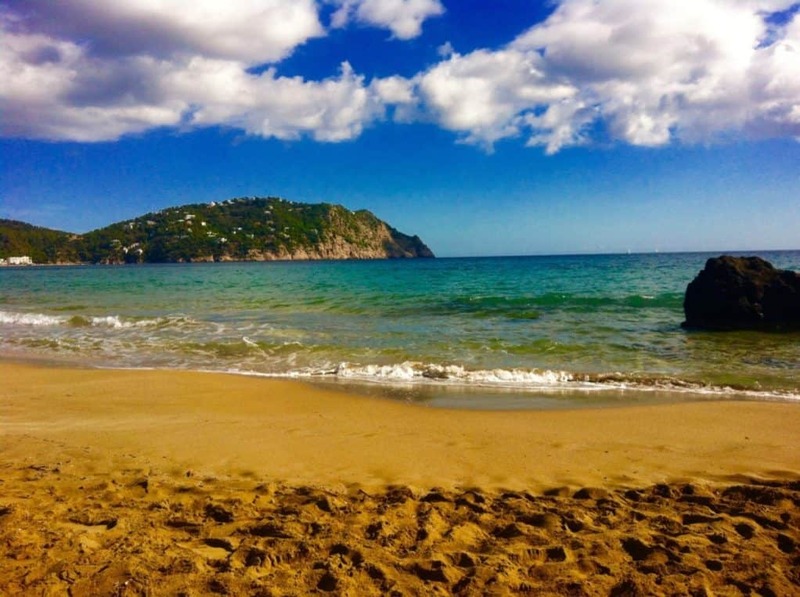 There are so many beautiful beaches in Ibiza that you will be spoilt for choice. drive up to the north of the island and explore the hidden beaches such as Es Portixol. It is just beautiful up in the north of the island. I would definitely consider chartering a boat, even for a day. The charter prices are very reasonable and you can choose between sailing yourself or hiring a boat with a captain to take you to the best spots. Explore Ibiza 2018. Where to stay: I would recommend renting a villa so you can enjoy the peace and quiet. http://www.homeaway.co.uk has a great selection of villas. Previous Post Naturist Beaches South of France – Skinny Dipping!